‘STABLES’ is situated in a secluded and peaceful courtyard in the heart of Bempton Village on the Yorkshire Heritage Coast. The recently refurbished accommodation is in a converted Stable block separate from the main house. Your Full English Breakfast is served in our Conservatory just across the courtyard. Martin and Michelle are happy to welcome guests from all over the world and can advise you on places to go. Just ask. L, T & E Lambeth, East London. Bempton is the ideal base for exploring the Heritage Yorkshire Coast and the Wolds. 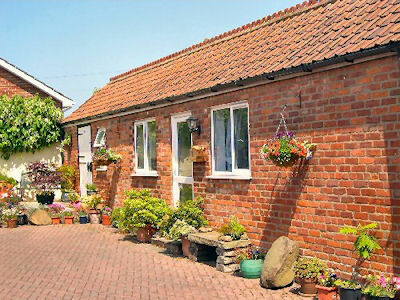 Our small rural village about 4 miles north of Bridlington near the North Sea Coast and Flamborough Head, famous for its chalk cliffs and RSPB Bird reserve, which makes it a popular destination for birdwatchers and walkers. Lovely towns and villages like Beverley, Malton, Robin Hood's Bay and Staithes. The North Yorkshire Moors Railway is a step-back to the days of steam with stations at Goathland (TV Heartbeat's Aidensfield), Grosmont and Pickering. Scarborough has plenty of shops, culture and nightlife. The medieval walled city of York needs no introduction.